DevOps is not just a buzzword in the IT industry. Most organizations today are using IT-enabled innovations and using information technology to stay competitive in the industry. Every organization irrespective of their size and type knows the importance of agility in IT systems and managing cost effectively. The organizations are focussed more on faster time to market while increasing efficiency and reliability and driving costs down. DevOps helps in breaking down barriers and conflict in priorities between different teams that traditionally work in silos, i.e. Development and Operations team. For an organization to be competitive these teams have to work seamlessly managing application deliveries, performance, and functional requirements etc. What is the result of making this change? This has allowed teams to deliver products/systems into production environments quickly and efficiently. All this and more can be achieved by integrating and scaling services seamlessly at each phase of the product lifecycle. Should I adopt a DevOps tool? Is that the only thing I have to do? DevOps is not just about tools, it is about fostering a new culture of collaboration & communication between different teams. It is also a set of practices that has to be implemented at every level of the organization. DevOps practices and techniques includes continuous delivery, lean principles, continuous integration & continuous deployments. Continuous Delivery (CD) is a software engineering practice that aims at delivering software in short period of time, ensuring reliability and scalability. The primary objective of the team is to build, test and release the software quickly and more frequently. Continuous Delivery takes control over the code and its automation all the way to production thus increasing efficiency in operations. It enables the developers to save time and release code changes frequently. Lean & DevOps. What is Lean? Lean production/Lean manufacturing is a systematic method for eliminating waste in the manufacturing system. Lean principles focus on adding processes which add value and eliminate everything else. Specify the value from the standpoint of the end customer by product family. Identify all the steps in the value stream for each product family, and eliminating steps that do not create value. 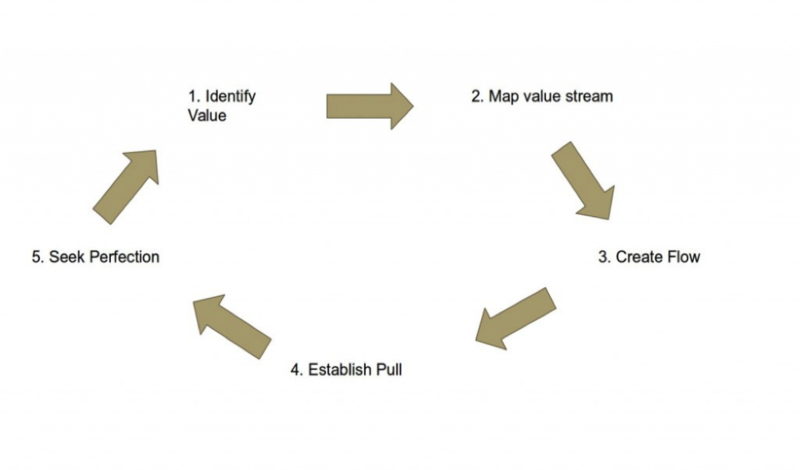 Make the value-creating steps occur in tight sequence so the product will flow smoothly towards the customer. Continuous Integration (CI) – What is this? 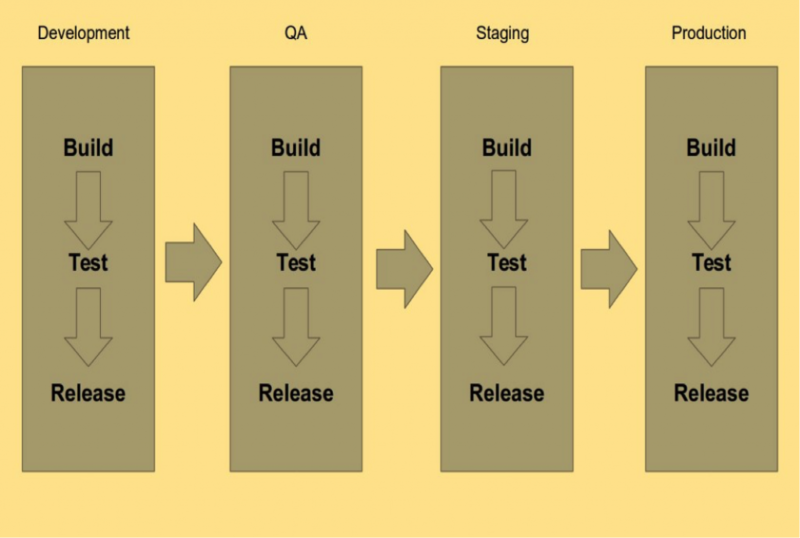 Continuous Integration or CI is a development practice which allows developers to integrate their code on shared repository several times a day, which is checked using automated builds to verify the code. This enables the team to identify the issues at an early stage of development and fix them quickly. Continuous Deployment is closely related to continuous integration and refers to the release of software to production after going through automated tests.